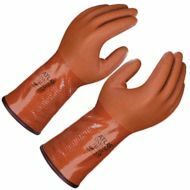 Showa® Atlas Latex Coated Palm, Acrylic Lined Gloves, for intense manual handling in cold conditions. 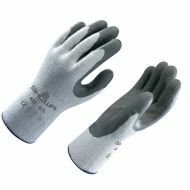 Atlas® Vinyl Glove by Johnson Wilshire. Supported, fully coated double dipped PVC, insulated. 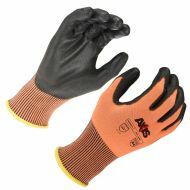 #RWG557 Axis™ Series by Radians Glove. ANSI Cut Rating of A4. Brown Jersey Clute Pattern Gloves by PIP. 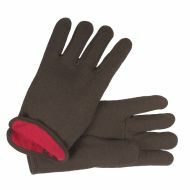 Red fleece lined with slip-on cuff. Sold by the dozen. 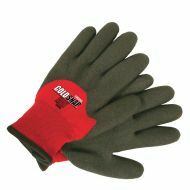 Cold Snap Flex™ Black Foam PVC Coated Palms winter gloves. Contact cold level 2. Sold by the pair. 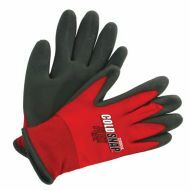 Cold Snap Max™ 3/4 Foam PVC coated gloves. Contact cold level 2. Sold by the pair.